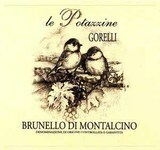 With red currants and a healthy dose of black fruits, this wine is faithful to the winery's balanced and subtle profile, perfect to help any novitiate to Montalcino wines understand why Brunellos are so highly prized. Disease and insect control treatments are carried out only when strictly necessary. Copper and sulfur-based products and low environmental impact products are used only on an as-needed basis. As the are located at a relatively high altitude, less disease and pest treatment is necessary. Organic fertilizing is carried out every 2-3 years.